Location: Situated in the south part of Jilin, It is neighbor to cities of Baishan, Liaoyuan, Jilin of Jilin Province and Tieling, Dandong of Liaoning Province. The Yalujiang River separates it from North Korea in its south. History: About 6,000 years ago, human beings started to live in this area. It is the cradle of China's northeast ethnic minority group Gaojuli and Manchu culture. In the Western Han Dynasty (260BC-24), it belonged to the Zhenfan Shire. The Qing Dynasty (1644-1911) government firstly set up county there formally. 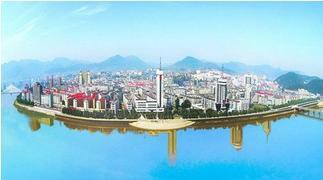 In 1985, it became a prefecture-level city in the approval of the State Council. Physical Features: Most of Tonghua's land is covered with mountains and hills which incline from high south to low north. Climatic Features: Tonghua enjoys typical temperate continental climate. It is dry and windy in spring while hot and rainy in summer. Winter is quite long and cold. When to Go: Autumn is a good tourism season due to the pleasant weather. Each year in May, the Azalea Festival held in Longwan Nature Reserve attracts many tourists. If you are fond of skiing and snow scenery, winter is the best time to visit Tonghua-this 'Town of Skiing'. Local Highlights: Tonghua is one of the three largest natural herb bases of China. Medicine industry is well developed there. It is also an important forest area of Jilin and the 'Town of Skiing' in China. The ethnic minority group Gaojuli culture and the revolutionary culture of the Chinese Anti-Japanese War add more interest to the charm of the city.